If you’re attending a conference, need an airport transfer or just need daily transportation around town, the team at Rubix Shuttles & Transfers can help you with your Corporate & Leisure requirements. They know the city like the backs of their hands, so you’ll never have to worry about getting lost or being late. We offer airport, meetings, incentive, conference and event transfers in a variety of vehicles to suit the service request. Our services operate 24 hours per day, 7 days a week. Performed strictly on a confidential basis with professional and friendly drivers. Corporate packages can be arranged on request. In-house fleet management and transfer services. Pre-booking is essential to secure your service. 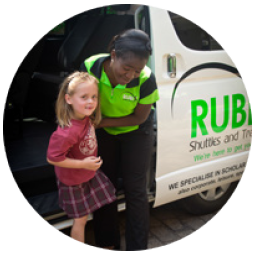 Rubix Shuttles & Transfers can also help you get the most out of your Corporate & Leisure transfer. If you need to go over documents before reaching the office, you can use the morning commute or en route to a meeting to do so, leaving the driving to our competent and safe drivers. Providing competent and safe drivers. Regulars and residents know all too well that some areas of town can get very congested during special events. This makes travelling to special events a bit stressful for Gauteng residents and those visiting from out of town. Navigating your way through traffic and finding a place to park can be especially difficult during certain events, like concerts at FNB Stadium and events at the Northgate Dome or Montecasino. Major sporting events also cause their own logistical problems regarding travel and parking Rather than finding yourself frustrated by having to navigate and manoeuvre through all this traffic, consider using Rubix Shuttles & Transfers for travelling to special events in Gauteng. Whether you’re out for an evening of fun or in town for a business conference, Rubix Shuttles & Transfers can handle all your transportation needs from airport transfers to your hotel to taking a big group out to dinner or a concert in style. Using our chauffeur service is perfect when the size of your party is small or large. Whether it’s a simple date night for you and your spouse, or you’re taking a big group out to dinner to celebrate a birthday, we can accommodate your entire party. And while you are being chauffeured, the party continues during the ride, which is something you can’t do when using your own personal vehicle. One of the best reasons to use Rubix Shuttles & Transfers when attending one of Gauteng’s special events is that you never have to worry about parking. Our drivers will pick you up at your office, home or hotel and drop you off right at the venue. You will then be collected at your pre-arranged time after the event. A chauffeur driven ride from Rubix Shuttles & Transfers can take away all the hassle and make those special events fun again. So, enjoy Gauteng’s events in all their glory and without any additional stress. Chauffeur drive hours listed are consecutive hours only and may not be broken. Chauffeur drive hours and kilometres are calculated from the point of dispatch (depot to depot). Should the client extend the services with the driver on date of service, an ‘additional hours/kilometres’ invoice will be raised the first working day after the service has taken place, and will become payable on presentation. Additional hours will be calculated at the hourly charge quoted, and will apply for a full hour and not part thereof. Additional kilometres will be billed at the quoted per kilometre charge. Transfer rates do not include additional stops on route. Quotation valid for 7 days only unless otherwise agreed and subject to change without notice. Strictly no overloading of vehicles allowed. Strictly no drinking or eating in vehicles unless by prior arrangement. Chauffeur drive hours are calculated and inclusive of the first collection to the last drop off. An ‘additional hours’ invoice will be raised the first working day after the service has taken place, and will become payable on presentation. Additional hours will be calculated at the hourly charge quoted, and will apply for a full hour and not part thereof. Quotation valid for 7 days only unless otherwise agreed and subject to change. 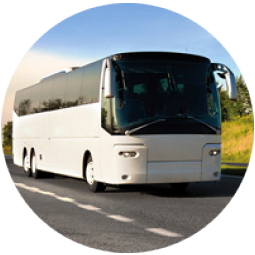 Rubix Shuttles and Transfers offers a wide variety of luxury coach hire transport solutions for any large scale transport needs, co-ordinating all your transport requirements and ensuring safety and comfort.